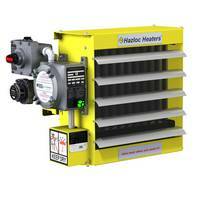 Hazloc Heaters Attains New Ex Customs Union Technical Regulation Certificate of Conformity for Russia, Belarus and Kazakhstan on the AEU1 Series of Explosion-Proof Heaters! Hazloc Heaters, a leading manufacturer of industrial unit heaters for hazardous and severe-duty locations, is pleased to announce that we have received the Eurasian Conformity Mark (EAC Ex) for hazardous location equipment on the AEU1 series of Explosion-Proof Electric Air Heaters. The new Customs Union Technical Regulations Certificate of Conformity certifies compliance to the new, harmonized Technical Regulations of the Eurasian Economic Community (Russia, Belarus and Kazakhstan) and fulfilment of safety requirements. The Certificate of Conformity for the Customs Union for safety of equipment for use in explosive atmospheres is mandatory for any electrical equipment that is to be imported, installed, and operated in hazardous areas and potentially explosive atmospheres in these countries. 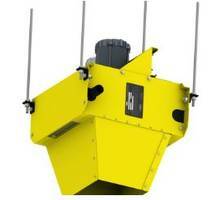 The certification enables products to obtain clearance at the Russian and Customs Union borders. These certifications replace the GOST-R and GOST-K certification schemes for Russia & Kazakhstan that are being gradually withdrawn. 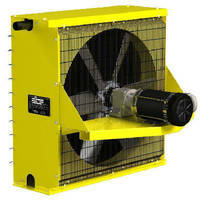 The AEU1 series of unit heaters are designed for industrial applications to provide primary or supplementary heating for comfort or freeze protection in areas that are classified as hazardous locations (Gas or Dust atmospheres). 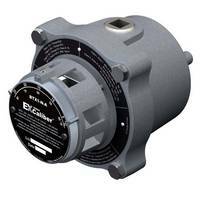 AEU1 models are CE Marked and certified to meet ATEX, IECEx & EAC Ex Zone 1 & 2 or Zone 21 & 22 requirements with IP55 & IP65 ratings respectively and a T4 (135°C) temperature code. 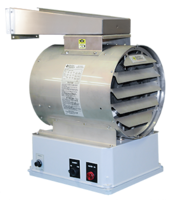 The three cabinet sizes (from 5 to 30kW) of AEU1 heaters include our ExCaliber™ high performance liquid-to-air heat-exchanger cores that are available in fourteen 400 Volt, 50 Hz model choices from 5 to 30kW to meet customer specific heat output requirements at supply voltages between 380 V to 440 V and fourteen 480 Volt, 60 Hz models to accommodate shipping vessels, offshore rigs or other applications requiring 60 Hz. 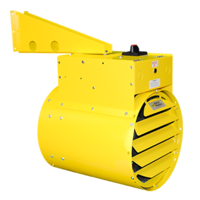 Hazloc Heaters Vice President of Sales and Marketing, Darren Ochosky, stated, "The AEU1 series is the only unit heater of its kind in the world to receive the ATEX, IECEx, & EAC Ex Gas and Dust certifications. These certifications reinforce our dedication to helping our customers grow and prosper by providing leading edge industrial heating products, technical expertise, and outstanding service.” Hazloc Heaters is also committed to a high standard of quality and on-time delivery performance. 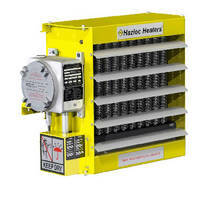 Hazloc Heaters is based in Calgary, AB, Canada. For further information, please contact Darren Ochosky at 1-866-701-4328 (USA & Canada) or 1-403-730-2488 or visit www.HazlocHeaters.com.